This was a design project that didn't get out of the development stage, but with some tweaking after setting it up in an HTML file, the layout would be very nice looking. 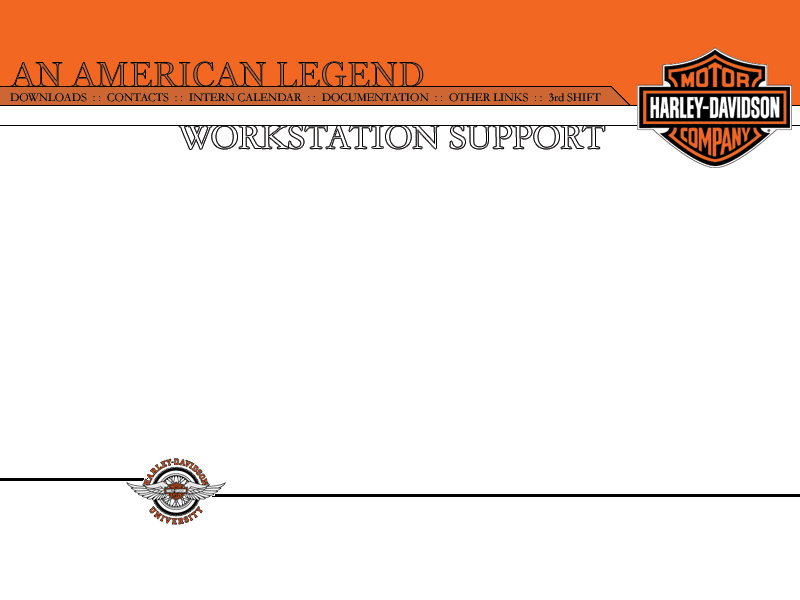 The Harley Davidson Kansas City Workstation Support page is a project that didn't get far off the ground. The department currently had a webpage and were looking to upgrade the design to something a little more streamlined. My boss liked the design and how it was set up, but before the project could be finished, the end of my internship came about. Note: The project didn't get much beyond the design phase. My designs at the time were all very graphics heavy, so it would have made updating the site more difficult in the long run. I started integrating the image templates I'd created into an HTML document but didn't get a chance to finish the revisions that would make the site much easier to update and deal with. The image template is available here.